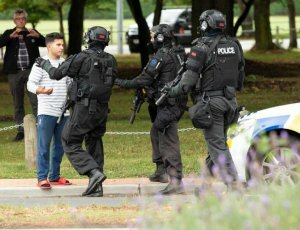 Mehr News Agency – Iran has strongly condemned the Friday terrorist attack on two mosques in New Zealand, calling on the government to identify and properly punish the perpetrators. In a statement on Friday, Iranian Foreign Ministry Bahram Ghasemi condemned in the strongest terms the terrorist attack on two mosques in New Zealand’s city of Christchurch, which left as many as 49 people killed and over 50 injured in the mass shootings. Ghasmei described the attack as “inhumane” and “barbaric”, calling on the New Zealand government to quickly identify the perpetrators of this racist act, and confront them by administering justice without any consideration.